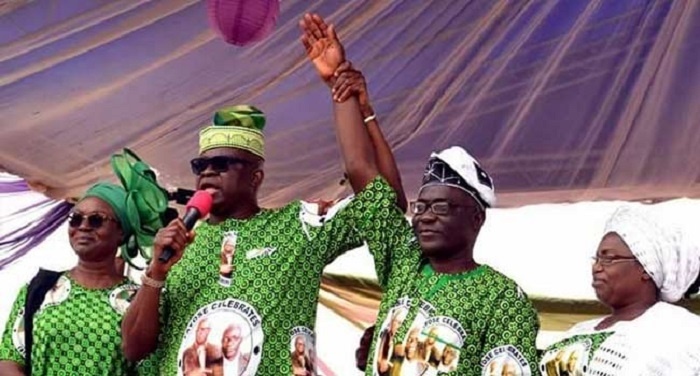 The Peoples Democratic Party candidate in the July 14 governorship election in Ekiti state, Prof. Olusola Kolapo believes his mandate was stolen by the current Ekiti state governor Kayode Fayemi. He believes he won the governorship election and has urged the state election petition tribunal to declare him the duly elected governor of the state. Led in evidence by the lead counsel for the petitioners, Yusuf Alli (SAN), the PDP candidate adopted his written statement on oath as his testimony before the tribunal. ALSO READ: Who Destroyed Buhari's Billboards In Akwa Ibom? However, while being cross examined by the counsel for the Independent National Electoral Commission, Charles Uwensuyi-Edosomwan (SAN), Kolapo stated that he was not aware that the indictment had been quashed by a court.